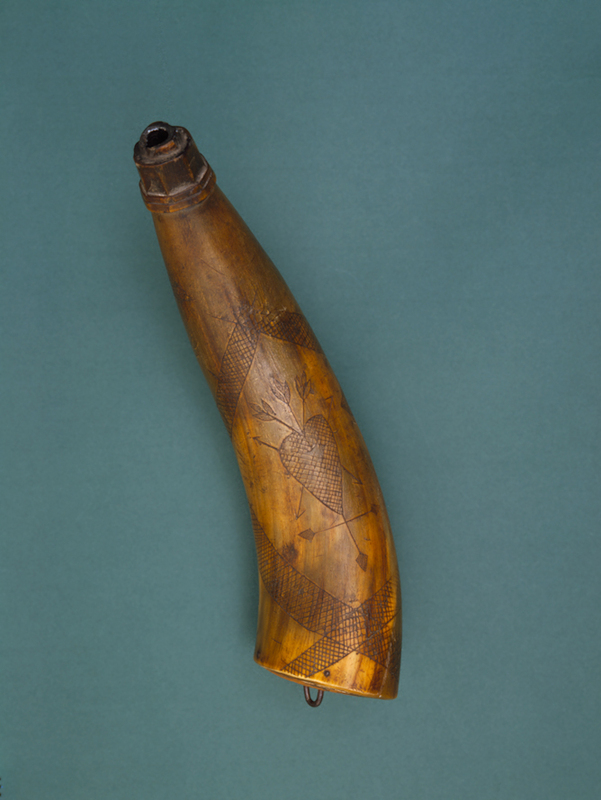 Powderhorns were used in war to transport gunpowder and keep it dry. 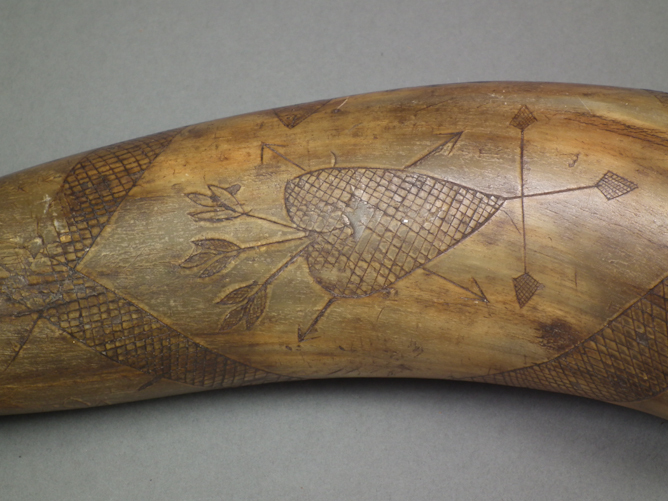 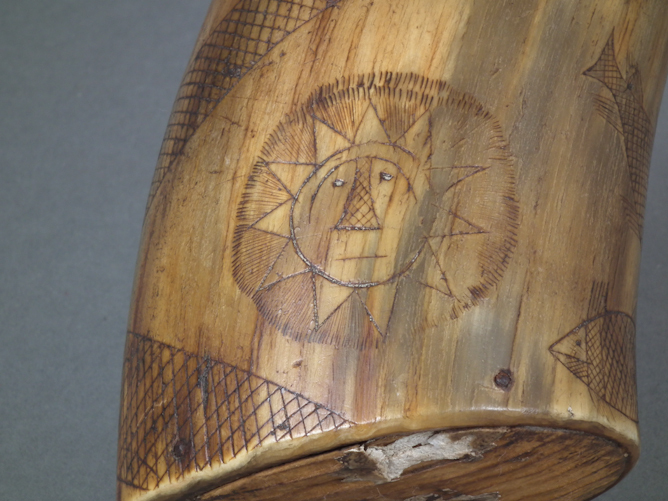 This artist inscribed his powder horn with symbols meaningful to his daily life. 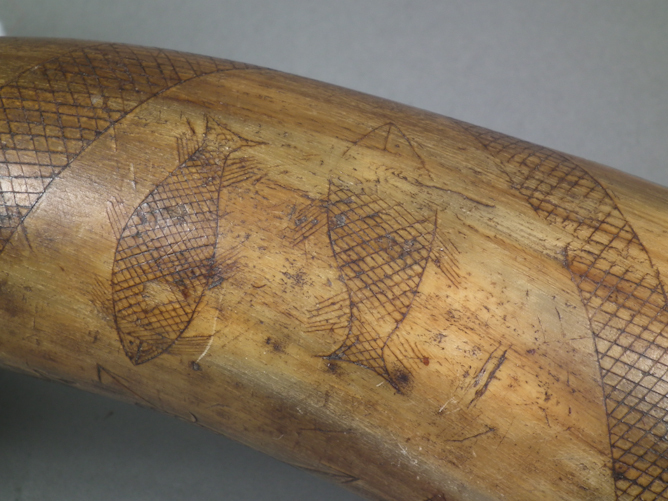 Salmon ensnared in fishing weirs encircle the cow horn, and appear in stark contrast to the mechanical violence facilitated by this accessory of war.